Rene Lalique Coupe Ouverte Jaffa: A re-offer from January 16, 2019 with the same Lot No. and Est. 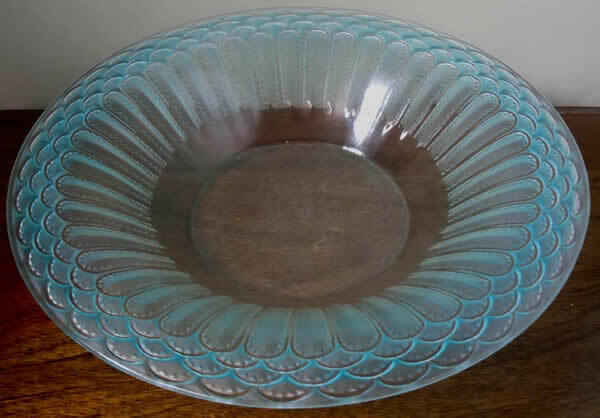 32 cm wide by 6 cm high clear and frosted later blue patinated flaring rim R. Lalique Coupe Ouverte decorated with four rows of encircling overlapping leaves. Lot No. 466 Est: $765 - 990.